Thirty years ago a major Thruway bridge was built across a small creek near the town of Fort Hunter, New York. It had its problems with construction delays and local protests, but it was built and it was strong. Thirty years later the bridge collapses when spring floods transform the meager creek into a raging torrent. The collapse takes several lives and almost includes the life of Aaron Bonner, volunteer firefighter, who swears he saw a vengeful Indian spirit take the bridge down. He just needs to convince Sheriff Ben Harrigan that the same Indian spirit seeks more vengeance. But the sheriff knows that Aaron is just like his father, who tried to sabotage the bridge when it was first built, while in the throes of a mental breakdown. Has Aaron gone crazy? Or does the sheriff have something to hide? A near death experience triggers Aaron's sensitivity to supernatural forces at work in the town of Fort Hunter. But his father's history of mental instability makes Aaron doubt his own sanity. He confides in Sheriff Harrigan, the father of his girlfriend, in a moment of desperation-- but memories are long in small towns like Fort Hunter, and the sheriff remembers well Joe Bonner's attempt to sabotage the original construction of the bridge. He was there. And it was his fault. Harrigan knows the town isn't being attacked by an Indian spirit seeking revenge. He knows Aaron is suffering from the same mental illness as his father. But when other things begin to happen-- things that can't be explained by a man experiencing a nervous breakdown-- the sheriff must come to terms with his own role in Joe Bonner's mental collapse in order to save himself, his daughter's boyfriend and the rest of the town. Hannah McCauley doesn't look at herself in the mirror anymore. Hannah is being punished for something that happened a year earlier, something that she would like to put behind her. But strange occurrences frighten her, and she's accused of breaking rules and doing other terrible things without any recollection of them. No one believes her, so she starts distrusting everything, even her own reflection. Is she being haunted by her past? Stalked by someone with a grudge? Or is it all in her head? If she doesn't figure out what's happening fast, her existence could end up irreparably shattered. For sixteen-year old Abigail Renshaw, the terrifying nightmares are not the worst part. When apparitions start leaking out of the nightmares into her waking life—Well, that's a problem. But Abby's dealt with hallucinations before, and she's nothing if not resilient. 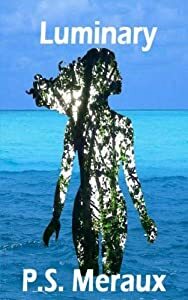 Following clues from the nightmares, she convinces her mother to let her visit Harmony Springs, the small town in Florida where Abby was born, and where her grandmother still lives. There, Abby finds unexpected help from new friends: a compulsive teenage blogger named Molly Quick, and Molly's older brother Ray-Ray (a guy Abby really starts to like). The not-so-good news? Abby's apparitions might be real after all. And one of them wants to kill her. "Abby was for me an ideal heroine." "I enjoyed this book so much. The characters are awesome, so realistic." "Abby has a mystery to solve and she’s all about taking care of business." "Watching Abby grow throughout the story and become more confident was amazing." 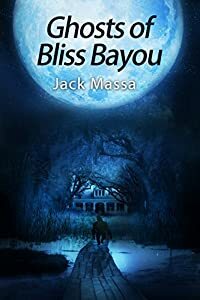 For urban fantasy fans of Bianca Scardoni or Rachel Jonas: If you like heroines who handle their own problems - no matter how spooky - you will love Ghosts of Bliss Bayou. Maybe... just maybe… she really is crazy after all. 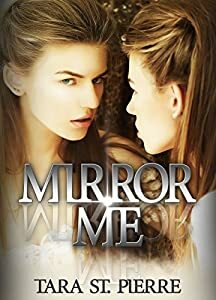 For Karina Morgan, every day is another chance to be bullied by the pretty girls at school--all because of an accident when she was just a baby that left her horribly scarred. Her life seems hopeless until the day she discovers a mysterious cave near her home. The things she learns from the cave's extraordinary inhabitants will change her perspective--and her life--forever. On the first day of her new school all that shy, wounded Eden wants is to finish her senior year and escape to college. It can't be too much to ask for, can it? 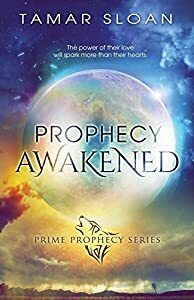 Prophecy Awakened is the first book in Tamar Sloan's Prime Prophecy Series. 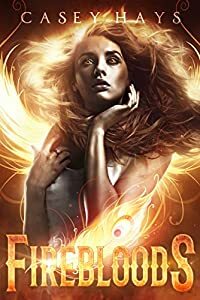 If you enjoyed Stephanie Meyer, Lauren Kate or Maggie Stiefvater, then you'll love a series that captures their best traits in an epic, captivating story of a love that defies boundaries. We all wear masks of secrecy. Some are small and insignificant while others are dark and forbidden. We wear them to mislead and deceive. It is, after all, easier to live a lie than to expose ourselves to the world. Exposure would leave us vulnerable. Yet, the truth could set us free; we hope. The moment we truly abandon all forgeries and remove our veil is the only time we can fully accept our true identity. For Nina Luther living a lie is life in its purest form. As a child, Nina knew she and her entire family were different. The mortals who surround her, fear the unknowingness of what they will become. Nina has no such fear. She is all too aware that her time here on Earth will be plagued by her heavenly gift to help others; she despises this. All Nina desires is to be an average high school senior, but cannot hide from her divine destiny. 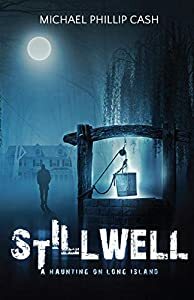 While adapting to her family’s recent move to Savannah, Georgia, Nina falls hard for Chase James, a mysterious loner with a dark and demonic secret of his own. In this world there are saints and sinners. The difference between the two: every saint has a past and every sinner has a future. Who will be the last one standing? 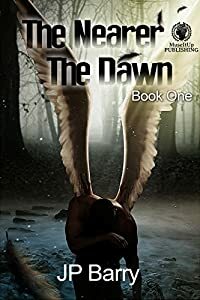 Will the demonic uprising on Earth mean the end for the mortal angel Nina? Or will she live to die another day? Who says you have only one soul mate? And you thought your life had drama. 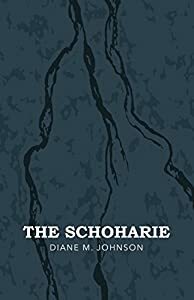 When a student in Georgia loses her soul mate and her back up soul mate without ever meeting either, her life takes an unexpected turn. 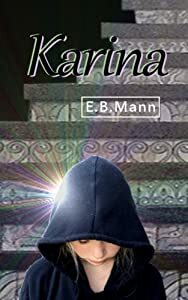 A supernatural race known as Paragons and their Luminary companions must intervene. To help her they'll have to retrofit a man's existing soul to be the perfect match for Emily Wren. Retrofitting is a nasty, painful business. Yet it's the only option for insuring a soul mate match which releases much needed magic to advance the causes of humanity in the world. But is there more at stake than the happiness of one special human? Read Luminary, the first book in the Luminary Saga by P.S. Meraux. When Kelly Bishop and her brothers move in with a foster family in northern Virginia, it seems their lives can finally be normal again. That’s until they’re trapped deep within Pandora’s Cave. In the cave they witness a sinister pact between a powerful businessman and the Demon world that promises to launch the greatest war in history. The good news is the kids made a video of the entire event. The bad news is the video may still be in the demon-infested cave and nobody believes their story. 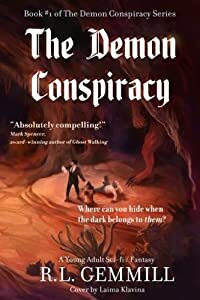 The Demon Conspiracy is loaded with heart-pounding terror, deep mystery, and characters you will never forget. It is the only teen novel series required by the American Security Administration to post a warning about potential negative psychological effects on the reader. READ WITH CAUTION.